The other day, we shared news of both THE Variety Game Dai Shuugou and THE Taikan! Sports Pack. These titles are retail releases that both include a variety of games already released on the Switch eShop. Now we have the cover art for each game to share. 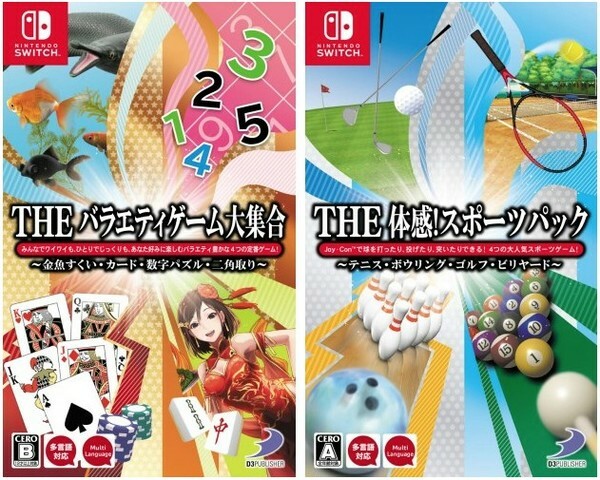 It's likely these retail releases will stay in Japan, but you can still grab all the included games individually around the world via the Switch eShop.